Make ultra high purity acid from reagent grade acid in your lab and reduce background analyte interference all while saving your lab money. Reduce background analyte interference, and save money by making your own ultrapure acids (or water) for critical analytical applications. 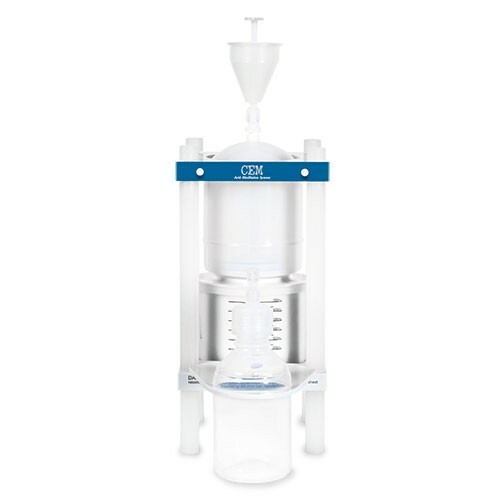 Designed for use with HF, HCl, HNO3, and H2O, the sub-boiling acid distillation system requires no cooling water and has a built-in waste drain for easy cleaning, without the use of a pump. This system is safe, easy-to-use, and its compact design allows it to fit neatly in a fume hood.